This one-hour cruise is an excellent choice for travelers who are short on time or want to squeeze in an extra morning adventure. 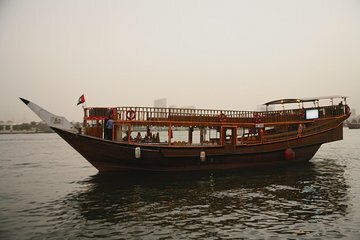 Cruise along Dubai Creek on a dhow (traditional Arabian sailboat) while a recorded audio soundtrack explains the historical and cultural landmarks along the way. Non-alcoholic refreshments are complimentary; alcoholic drinks and snacks are available for purchase.